The emergence of local transmission of the Zika virus in the U.S. and its territories illuminates the importance of public health emergency preparedness. One route local health departments pursue in order to demonstrate their readiness is through participation in Project Public Health Ready (PPHR). After a discussion with three members of the PPHR program staff from the National Association of County and City Health Officials (NACCHO), it became clear integration and coordination are key elements in the program’s model. “The goal of PPHR is to have local health departments fully integrated into the preparedness process,” a program staff member said. The staff member noted preparedness does not occur in a vacuum, but requires integration of the work of local health departments (LHD’s), as well as coordination between LHD’s and regional/state preparedness systems. 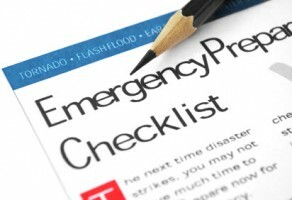 According to the PPHR program staff, the federal government designates participation in PPHR as an allowable expense that Public Health Emergency Preparedness (PHEP) grant funds cover. These federal funds are v ital to promoting preparedness activities at the local level, as 55 percent of local health departments rely on them as their sole support for preparedness work. However, due to significant limitations on preparedness funding, sacrifices are often made in efforts to promote more long-term protections to respond to immediate threats. There are also frequently delays in the approval and distribution of funding due to partisan political debates and funding moving with different degrees of efficiency from the federal government, through state and territorial governments, to local governments. The money needs to move through the system more efficiently and effectively — improving coordination of this funding should be of primary interest to future reforms. A recent report published by NACCHO conveys the results of a survey examining the effects of reprogramming PHEP funding to Zika response. Considering the mission of Project Public Health Ready, it is notable the capability most commonly reported as being negatively affected by the reprogramming of funding was community preparedness (75% of respondents). This area encompasses “staffing and staff training, planning development and training exercises, and communications and community engagement.” All of the areas encompassed in the definition of community preparedness are important for helping local health departments to gain and maintain a voice in larger emergency planning and preparedness discussions. If the current approach to funding responses to public health emergencies is hindering gains in these collaborative areas, it strongly speaks to a need for serious reform. The NACCHO survey also demonstrates the effects of funding reprogramming on local health departments’ integration into larger planning and preparedness discussions, including medical countermeasures dispensing, emergency operations coordination and community recovery. Effective community recovery planning and operations requires local health departments to engage fully with first responders, medical providers and various organizations who will work to meet the needs of at-risk populations during a public health emergency. Policy makers at all levels of government must remember interagency collaboration is free — it costs a lot in terms of time, money and attention. A staff member noted considerable progress has been made to build relationships between LHD’s and other stakeholders. “It has become clearer that public health belongs at certain types of tables. It’s not about doing things a certain way, it’s about letting public health help you do what you do better,” the staff member said. Concerns about an agency defending its territory have diminished, and in the staff member’s view, communication between LHD’s and other preparedness stakeholders has improved. There is some evidence from the Zika response in the U.S. of the federal government’s ability to rapidly deploy resources to state and local governments. Based on a discussion with Project Public Health Ready program staff and previous research, there is still a need for federal funding of preparedness and response to be more reliable in order to build and maintain strong collaborations. Even as Democratic and Republican politicians discuss the merits of a public health emergency fund, they must do more to distribute and utilize existing funding more efficiently. Additional and stable funding is essential to address current threats and create a well-integrated federal system to respond to emerging threats. State and local agencies can promote change from the bottom up by taking initiative to make preparedness a higher priority, sending a message that a larger systemic reform is required. This is certainly an important and very timely topic–building interdisciplinary relationships between public administration and public health should be on the critical list for projects by both disciplines. Both my last book and my forthcoming book cover the important crosswalks that should be developed between both camps. Indeed, when I was in Washington, D.C. presenting a discussion at NAPA, I was surprised to see that the national headquarters of the American Public Health Association which I was also a member of was right across the same street and just about two doors down from the NAPA headquarters. So close, and no crosswalks; no interdisciplinary panel on public health and public administration; and, as things turned out, no interest either. So, again; this is a timely commentary and we need to see more. In the academic environment, there is virtually little or no mention of public administration to graduate public health students and vice versa. Well, whenever I am teaching an MPH group, I do sneak a little public administration into the curriculum wherever possible to prepare my students for the world in which they will work as professionals.